Amy Silverman considered herself an open-minded person. But when her second child, Sophie, was born with Down syndrome it shook Amy's world — and opened her heart in ways she never imagined. Amy Silverman was living a fast-paced life as a journalist in New York, when she and her husband decided to settle down in Tempe, Arizona to start a family. Silverman considered herself an open-minded person, a journalist who sought out different opinions and celebrated cultural diversity. But she was not prepared for the struggles she would face when she and her husband had their second child, Sophie. 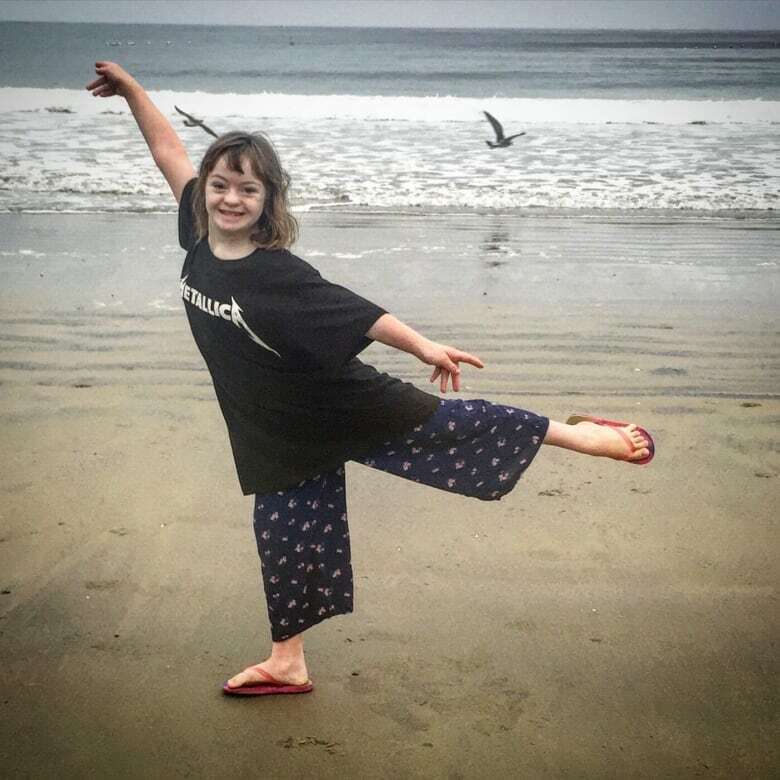 "Before I met Sophie, I had never met a person with Down syndrome," said Silverman. "In fact, I did all I could to to avoid encountering people with intellectual disabilities, which is something I didn't realize until after I'd had Sophie." Sophie dancing on the beach. (Amy Silverman)"We all have something that rocks our world ... that is a challenge that we think we could absolutely never meet. I never thought that I could do Sophie justice as a parent," said Silverman. "It's been very gradual, but I do think Sophie has compelled me to slow down, to live in the moment, to take joy in small pleasures." Sophie is now a vibrant thirteen-year-old. She loves that her mother has written a book about her, while Silverman loves how Sophie teaches her to connect with others. "She really connects with people in a way that I don't see a lot of the rest of us do," said Silverman. "She really values interpersonal relationships in a way that most of us take for granted." To hear more from Amy Silverman's story, click LISTEN. This segment originally aired November 4, 2016. Want to keep up with Tapestry? Download the CBC Radio app (IOS or Android) and subscribe on Apple podcasts or wherever you get your podcasts. Is the Market the new God?